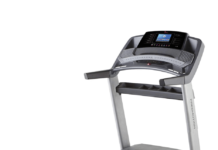 If fitness is in your DNA or fitness is your DNA, you will definitely love ProForm ZT8 treadmill. Equipped with 22 workout apps developed by world-class personal trainers, there’s no room for boredom or monotonous workout routine. 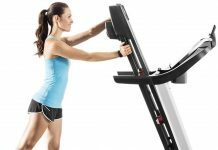 Moreover, you can adjust the incline to an angle you prefer between 0-12percent to challenge your strength levels, stamina and endurance. There’s no shortage of features when it comes to ProForm ZT8. Although you may require a paid subscription to access some features. 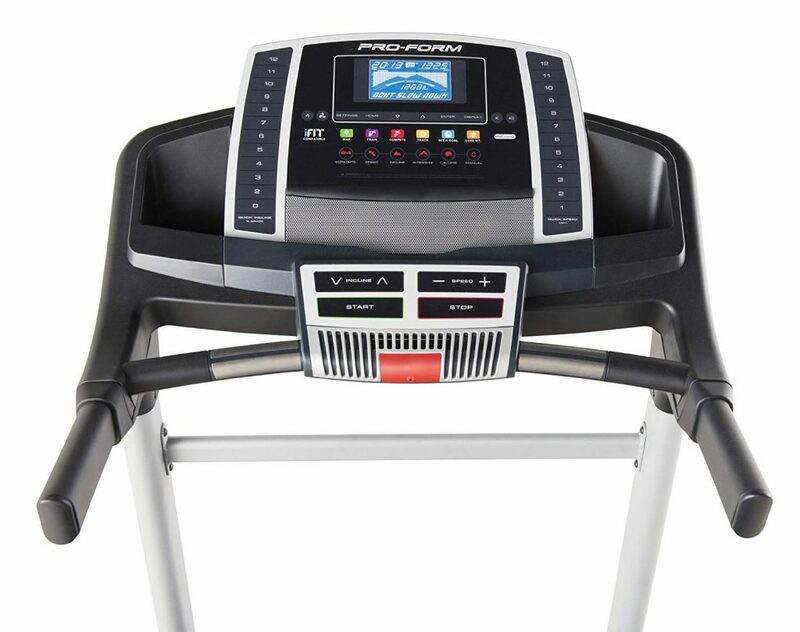 This iFit compatible treadmill lets you map out almost any route in the world with Google Maps. 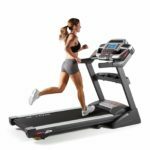 From trekking the Himalayas to running the Boston Marathon to walking the streets of New York, you can experience all that and much more from your treadmill. You can as well push yourself to the limit by competing with others in real time and share the information on social media. If you’re undecided about the subscription, you can try iFit 30-day free trial and see how it goes! Just like the engine is the heart of a vehicle, the motor is the heart of a treadmill. 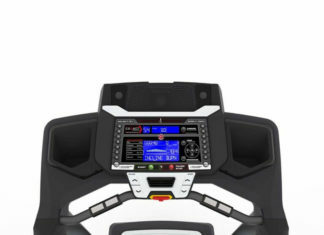 Equipped with a powerful motor producing a running speed of 12 mph, ZT8 treadmill can get you anywhere you want to go. Further, the quiet, smooth-performing motor stays cool through the most intense workouts. The ZT8’s deck can accommodate tall persons as well as fitness enthusiast’s speed, long strides and explosiveness. 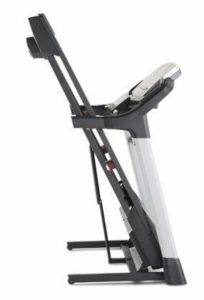 Its 20-inch width provides strength and stability for taller people. 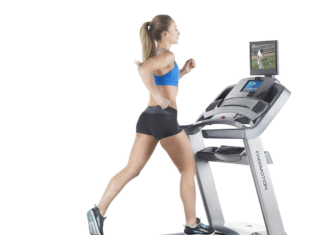 This treadmill basically makes you get comfortable running fast. With this display, you can track your progress in achieving your fitness goals. It not only tracks your speed, time and distance, but also calories burned. 22 programmed workout apps designed by professionals. iFit Live lets one draw their own running routes with stimulated terrain on Google Maps. Lifetime warranty on the frame and motor. It comes with a heart rate grip sensor, not a wireless receiver. Assembly can be a bit of a hassle. Question 1: What is the maximum weight limit? Question 2: Can I use the iFit program without a subscription? Answer: No. You have to purchase iFit wireless module and you’ll automatically receive a one-year iFit subscription. Question 3: Does this ProForm use chest strap heart rate monitor like other treadmills?? Answer: No. Only comes with grip sensors. 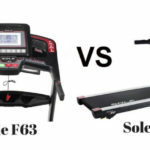 Question 4: Is it worth to invest in buying this treadmill? Answer: Yes. The treadmill is worth every penny. It’s plain and simple, people want to hear it from the horse’s mouth –the buyers. 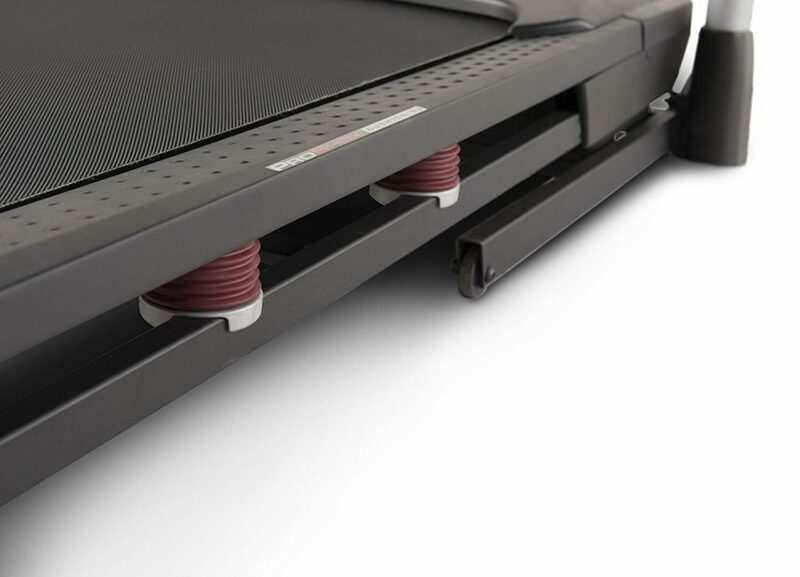 So, let’s take a look at what some customers have to say about their experience with ProForm ZT8 treadmill. 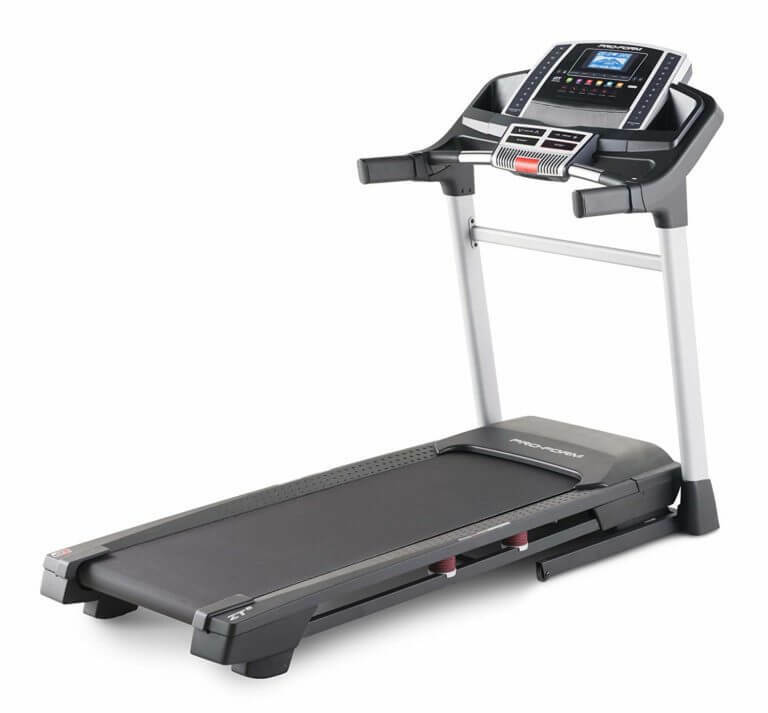 ‘’To be honest, I was hesitant to purchase this treadmill, but I cared more about getting in shape and losing weight. So, I took a leap of faith and bought it. Let me just say I’m exhilarated! It’s everything I imagined and more!” Nick Scott. “Even though it wasn’t delivered on time, everything seems to be working perfectly fine.” Alana M.
“The treadmill arrived this morning. Assembly was quite tricky. It took me almost 2 frustrating hours to complete the assembly up. It’s now up and running, no complaints so far, but I suppose we will know for sure as time goes by.” Georgina90. 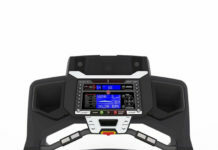 ProForm ZT8 is definitely one of the best treadmills under 4 figures. It not only goes easy on your wallet, but its overall performance is more than satisfactory. In a world full of noise, you can hope for a little silence when running or walking on the treadmill. 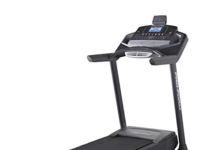 Further, the treadmill is quite durable as it’s designed to provide long and reliable service. The ZT8 excellent speed, power and the iFit functionality make it more worthwhile. 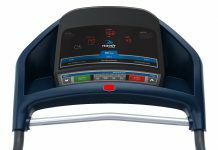 Although the treadmill lacks a wireless heart rate monitor, everything else is brilliant. 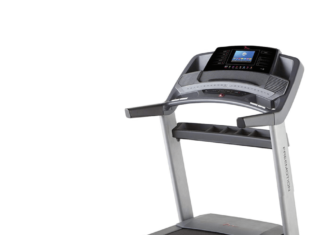 ProForm ZT8 is the kind of treadmill that motivates you to achieve your fitness goals. 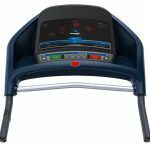 World Best ProForm ZT8 Treadmill Review for you.We have discussed ProForm ZT8 Treadmill Important Features. Some FAQ.